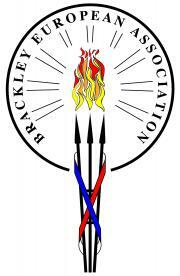 Brackley Town Council provides your local services. We strive to make Brackley a better place to live, work and visit. Our website includes a wealth of information about how we conduct business and what we do. Use the search or browse the site to find whatever you are looking for. If you can't find the information you require then please contact us. South Northamptonshire Council (SNC) is currently updating its Housing Strategy which will define what the Housing Service will deliver over the next three years. Hard copies are also available from The Forum in Towcester, town halls, Brackley Town Council office, and South Northants libraries. Jane Carr, SNC's Executive Director Operations, said: "Lower than average crime, lower than average unemployment, higher than average academic achievement and being in a strategic location for business means there is a great deal of pressure for new homes in South Northants. "But if we want to retain those aspects of the district which make us so proud, we cannot forget the fundamentals. "We need an approach to housing which is prepared to meet the needs of all types of households and lifestyles and is ready to adapt to a rapidly changing society. It is something the Council has responsibility for and we need your input to get it right." Three priorities identified in the draft strategy are: building homes that people need and can afford to live in; enabling people to live settled lives, ie: homes can be adapted for the changing needs of individuals and families, and developing strong partnerships to provide housing services that meet residents' needs. The Operations Manager will have responsibility for the delivery of services by the Town Council covering a range of areas, managing a group of employees working in facilities, green spaces, tourism and events. Given the size of the team, the Operations Manager is a senior role within the staffing structure, reporting to the Town Clerk as the Proper Officer and Responsible Financial Officer, and is expected to be public-facing and to deal professionally and appropriately with residents. They will bring knowledge and experience of managing people, as well as some outsourced services. They will provide advice and support to the Town Clerk and to elected Councillors (where appropriate) to maintain and improve services within the town, and to promote the best interests of the town in line with a public-service ethos. The Annual Town Meeting scheduled to take place on Monday 25th March 2019 will now take place on Monday 29th April 2019. As in previous years, the meeting will take place at 7.30pm within Brackley Town Hall.